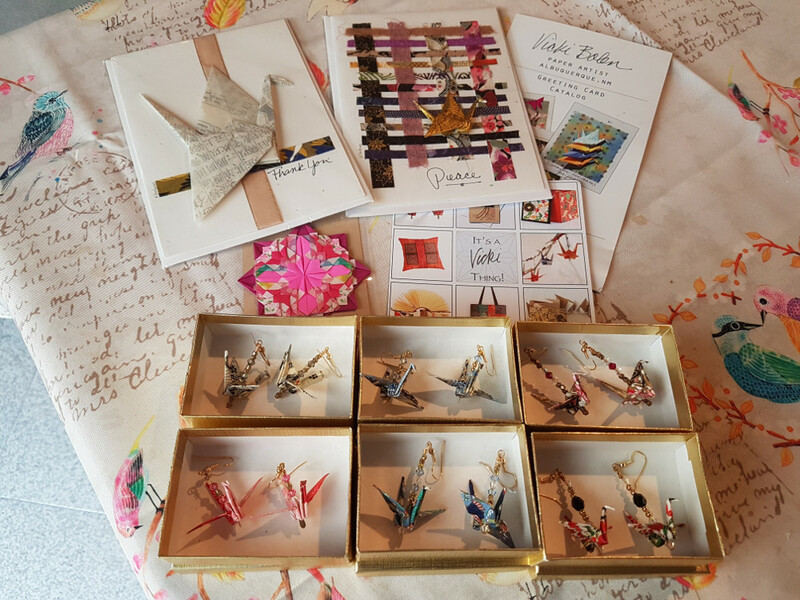 Last week, I received an order for six custom origami crane earrings from a customer in Italy. She wanted her earrings made with gold instead of silver findings, and I happily obliged her. 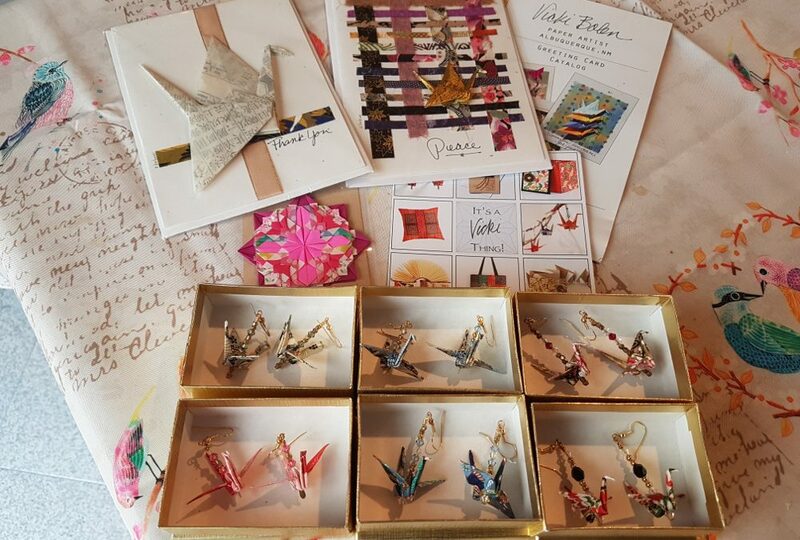 When I sent the order, I included a couple of my handmade cards and an origami magnet. Today, I received a thank you email from the customer. Your beautiful earrings have just arrived, and are even more fantastic in live vision, congratulations for your skills! I thank you also for your gifts, the 2 cards and the magnet are very beautiful, you were very kind to give as gifts to me. Attached to her thank you was this lovely picture of the order and its packaging.